My sister recently moved to KC and got her first full-time job since graduating from college. She moved in with her best friend and a few other girls and finally gets to experience city life. One of the downfalls of her new lifestyle is sharing a room and the limited space that comes with that. One look around my stash in my garage, and we found something to help her create a little extra storage. I had this old drawer left over from the dresser I turned into my entertainment center. We bought wheels from Home Depot and attached them so it would easily slide under her bed. Then she painted the sides green for a fun pop of color. 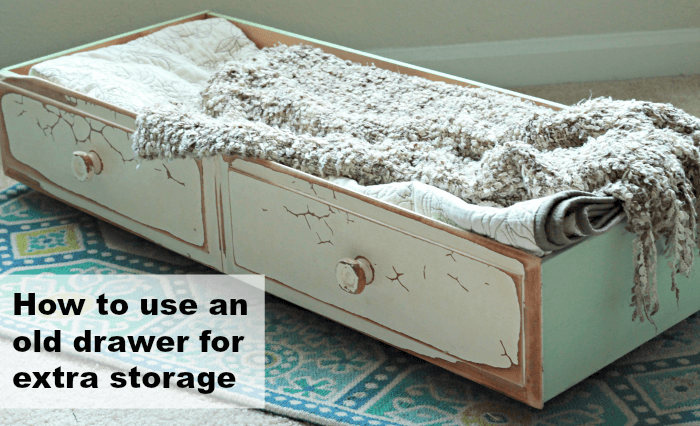 There are so many ways you could use an old drawer like this for extra storage in you home. The possibilities with this little project really are endless! My sister is using it to store her sweatpants and sweatshirts under her bed, since those are the clothes that take up the most room in a dresser. 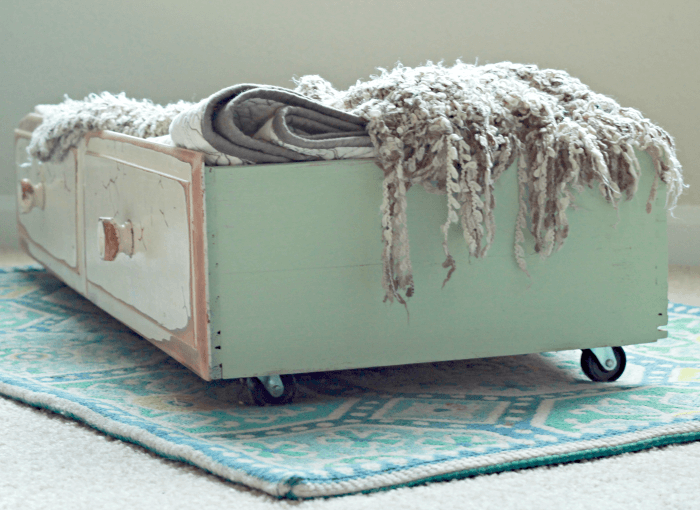 Have you ever made anything out of an old dresser drawer?